When a person is lost or endangered, seconds can mean the difference between life and death. 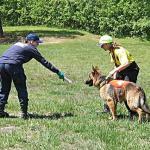 Fortunately, there is available, a dedicated search and rescue group - Greater Philadelphia Search And Rescue (GPSAR). 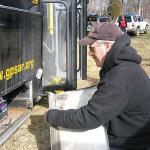 Founded in 1979, GPSAR has a primary response area within the States of Pennsylvania, New Jersey and Delaware, however, GPSAR has been requested by, and responds to missions in other States as well. When search and rescue expertise is sought, GPSAR is willing to travel. GPSAR's volunteer contingent of over 40 members, led by several specially trained and dedicated command officers is on-call 24 hours a day, 7 days a week for emergency dispatch. 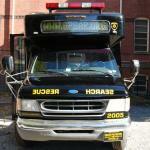 GPSAR is available for contact via the Montgomery County Emergency Operations Center. To answer any questions you may have, GPSAR's office number is (877) 598-5618. It should be noted that Greater Philadelphia Search And Rescue does not charge for any of these services to the community. 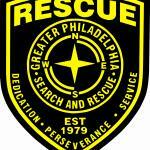 When dispatched, Greater Philadelphia Search And Rescue responds to your request for assistance, so "That Others May Live".